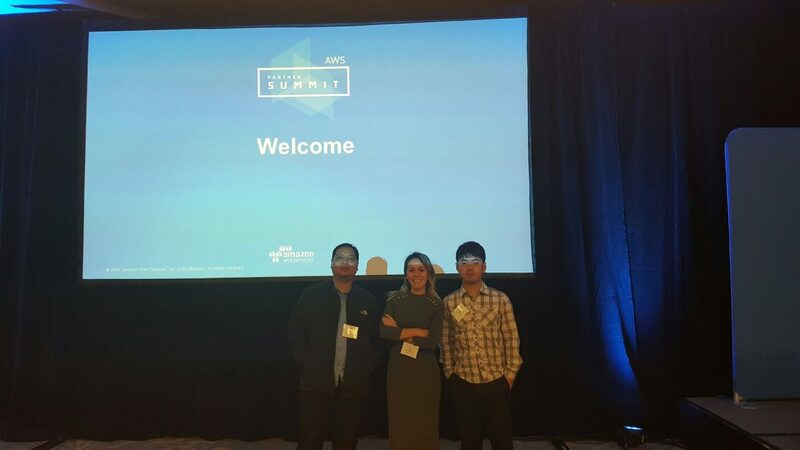 Our CEO, Amir, our Account Manager, Lila, along with two of our skilled developers, Ryan and Abner, had the honour of attending the 1st annual AWS Partner Summit in Canada. The conference was held on January 24, 2017 in Toronto, hosted at the Westin Harbour Castle. The day was filled with activities from networking to presentations from keynote speakers including Terry Wise – Vice President, Global Alliances, Ecosystem and Channels, Amazon Web Services; Steve White – President, Channels and Alliances, IDC; and David Senf – Canada Program Vice President, Infrastructure Solutions Group, IDC. 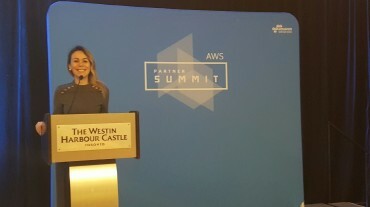 The AWS Partner Summit in Canada was divided into two tracks – Technical and Business. The technical track showed how Microsoft technologies could be integrated; how to develop, migrate, and manage services on the AWS platform; and how AWS Cloud Security detects and counters potential DDoS attacks. Abner enjoyed learning about new innovations that AWS offers such as facial recognition, which he strongly believes is useful not only for developers but for users as well. He is also very eager to learn more about advanced networking! The business track looked at AWS services such as Amazon Kinesis, Amazon Redshift, Amazon Aurora, Amazon DynamoDB, and AWS Lambda. With these products we will be ready to work with complex data processing and machine learning needs. The case studies presented provided incredible insight as to the value of going Cloud. Lila focused on business side and was able to learn a great deal about AWS products and best practices thanks to Dan Stark, Commercial Sales Lead of AWS Canada, who was thoroughly knowledgeable. Amazon believes that every implementation is a small interview for the next implementation. Like Amazon, iTechtions believes in putting clients and their needs first and delivering exemplary results! Amir, Lila, Ryan and Abner had a wonderful time at the conference and particularly noted that the food was phenomenal. The staff at iTechtions can’t wait to go back next year! After attending the AWS Partner Summit in Canada we are more excited than ever to work with clients who are interested in Amazon Web Services. 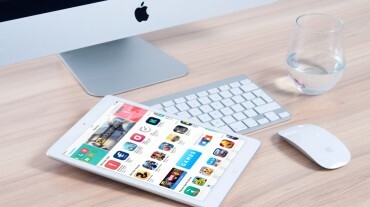 We know that the Cloud is the next big shift in this industry, so we are always looking for ways to improve our skills and knowledge on the most relevant technologies. The Cloud is fast, and it’s the future. AWS is the first to develop this kind of technology and we are thrilled to adopt it. We are constantly updating our knowledge on key product areas, and tracking industry trends to be the top IT services consultancy in Canada that provide ingenious technology solutions. For more information on how our services can benefit you, contact us at info@itechtions.com.